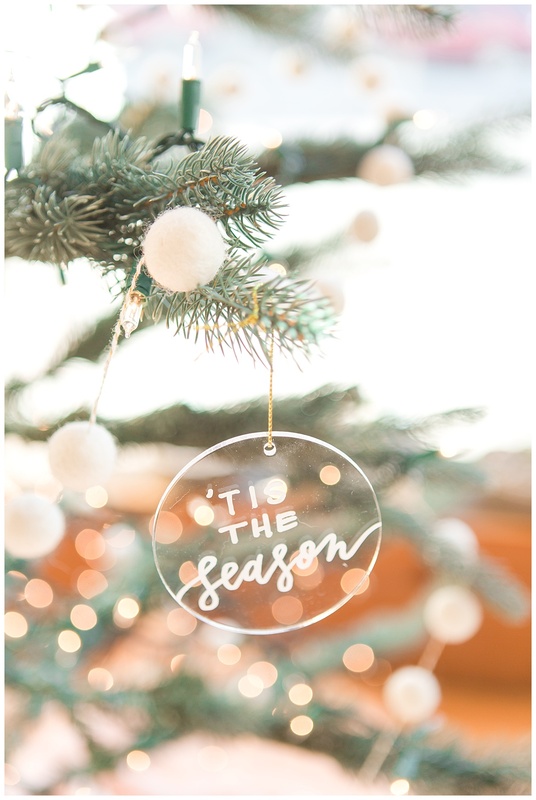 It’s officially my favorite time of year! 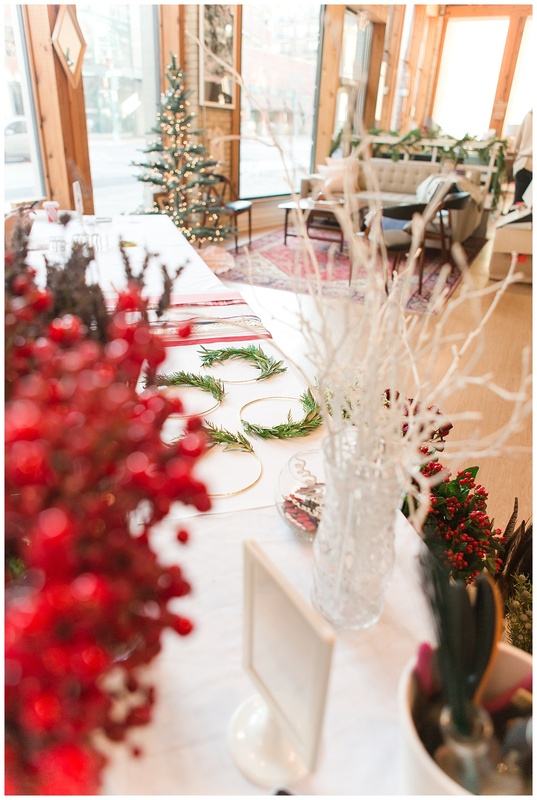 Disclosure: I am sooo in love with the holiday season. 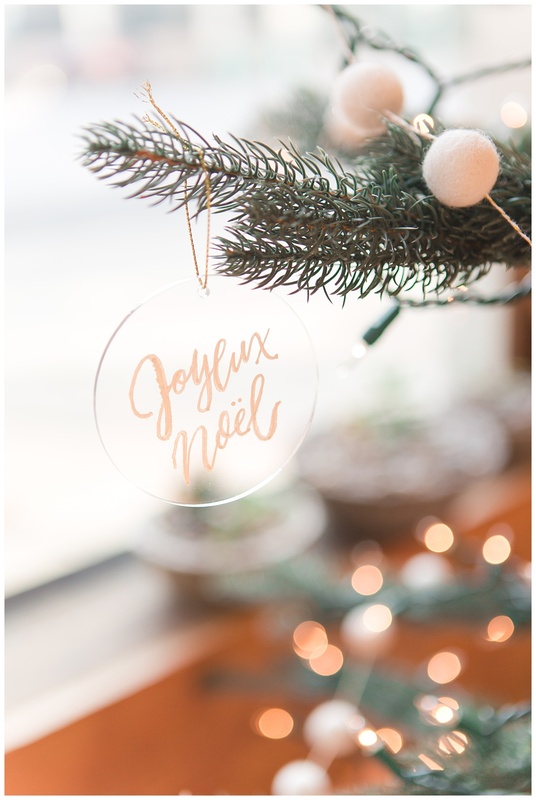 From the festive décor, to the cheerful music, to the warm and fuzzy feeling you get when visiting family and friends – I just can’t get enough of it! 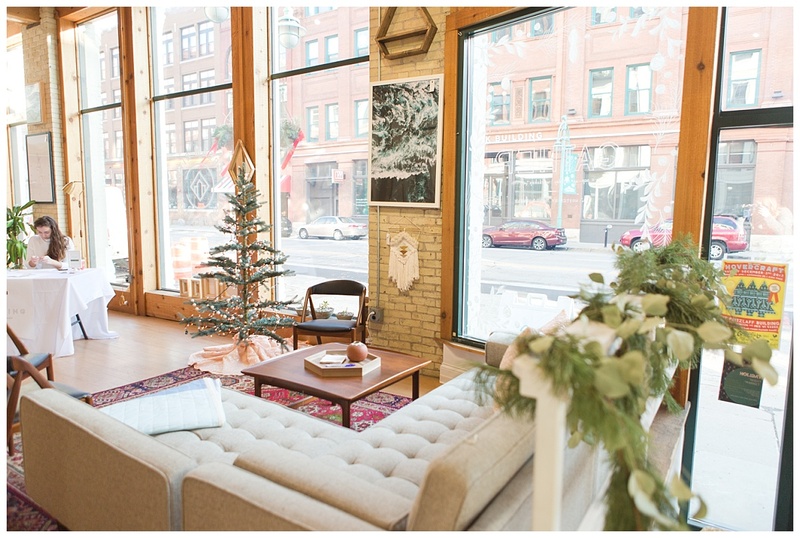 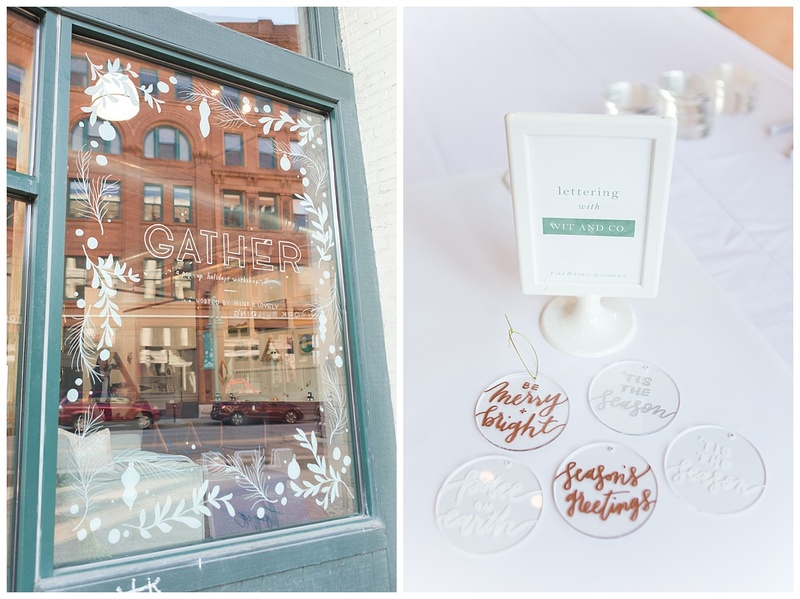 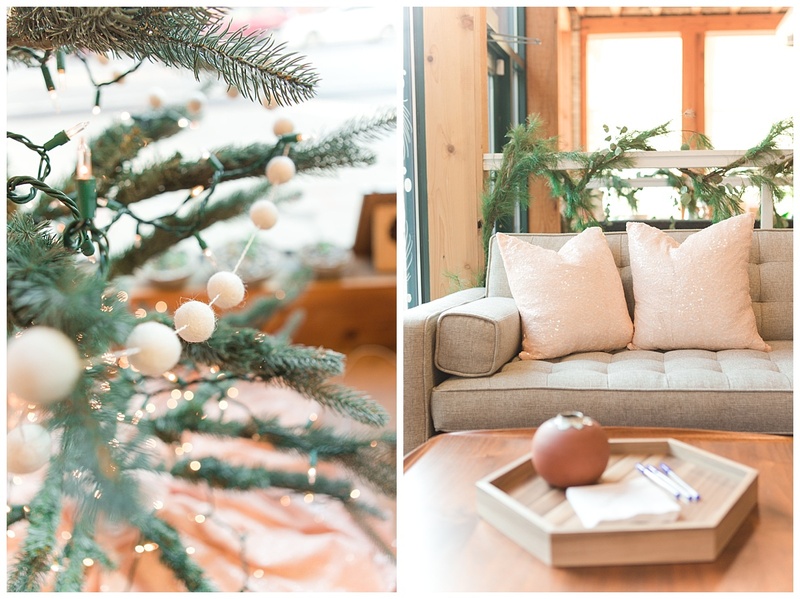 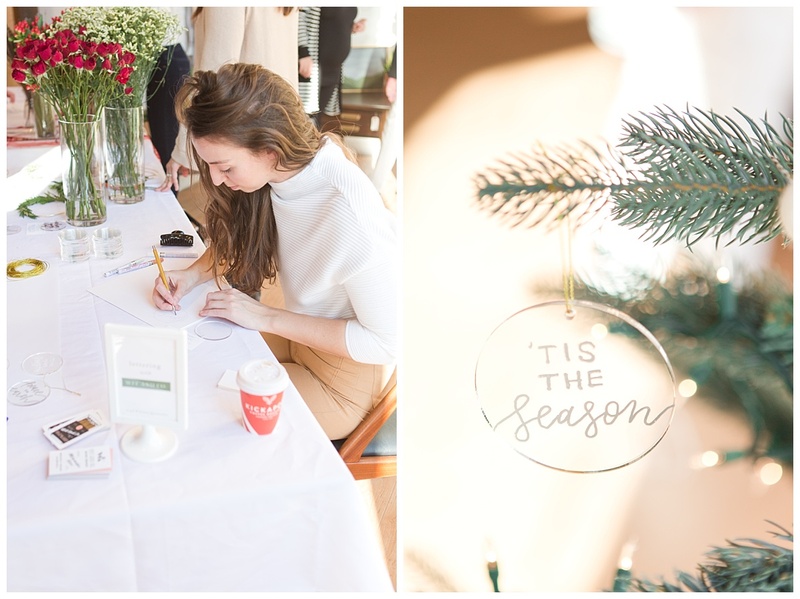 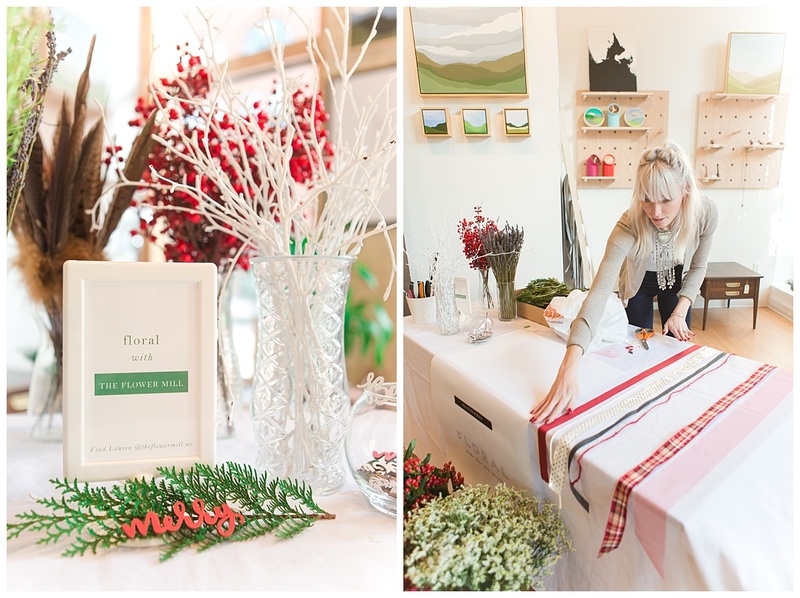 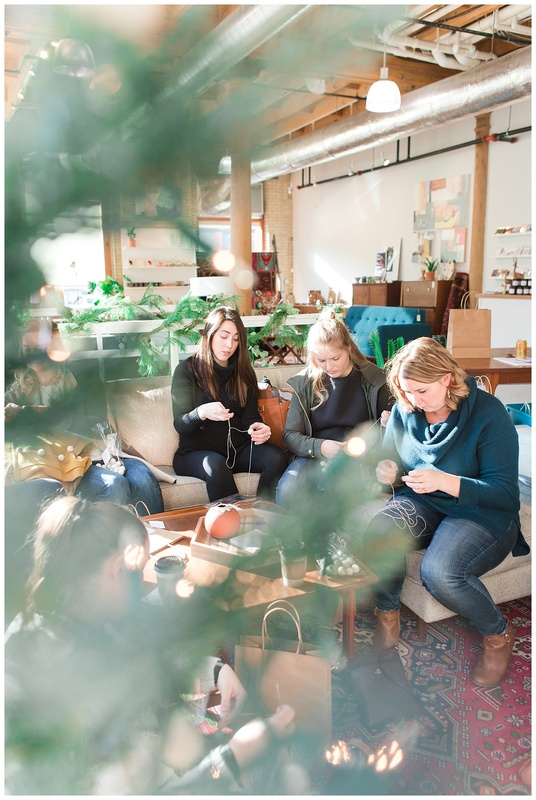 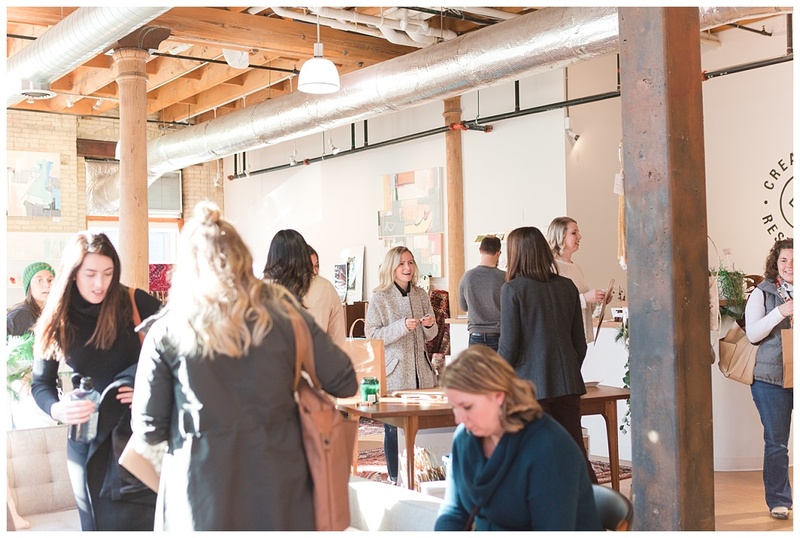 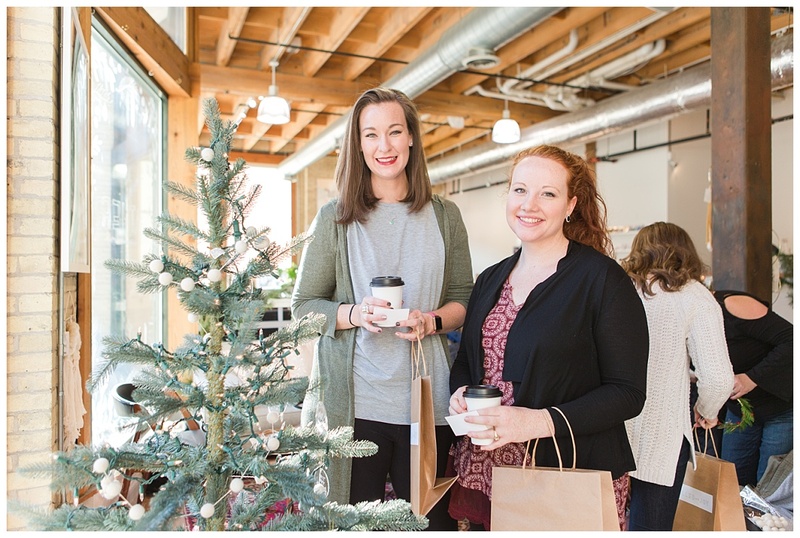 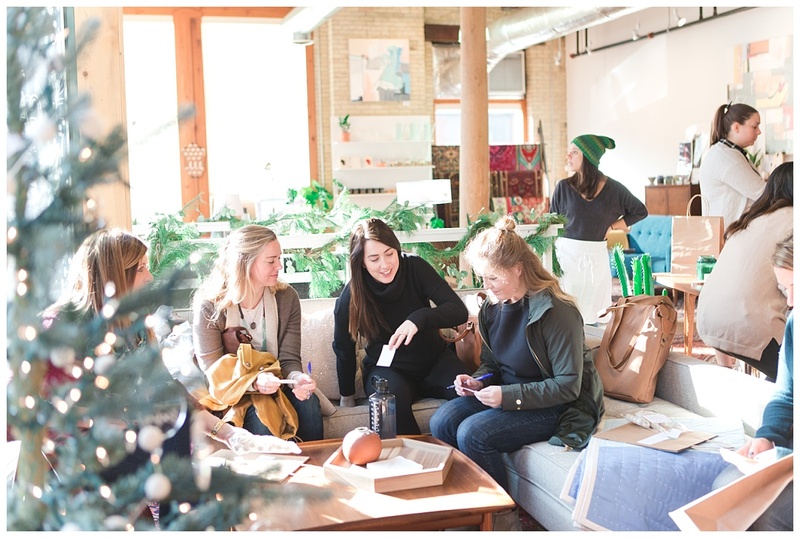 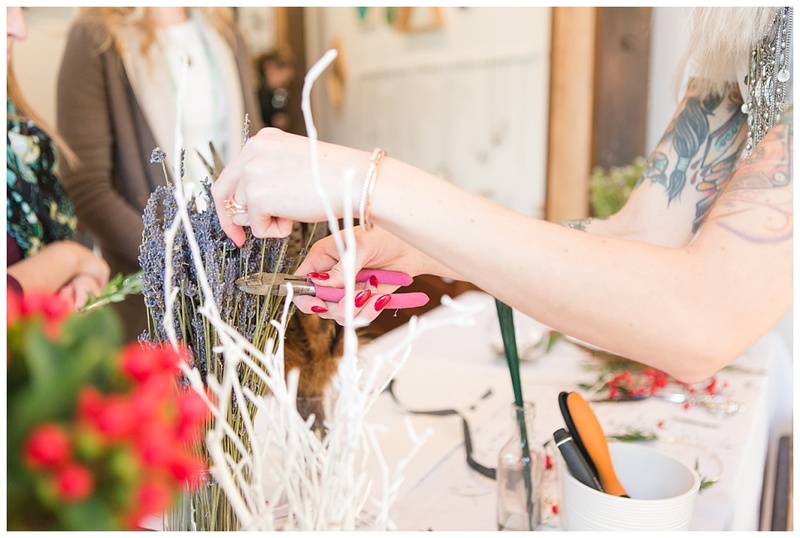 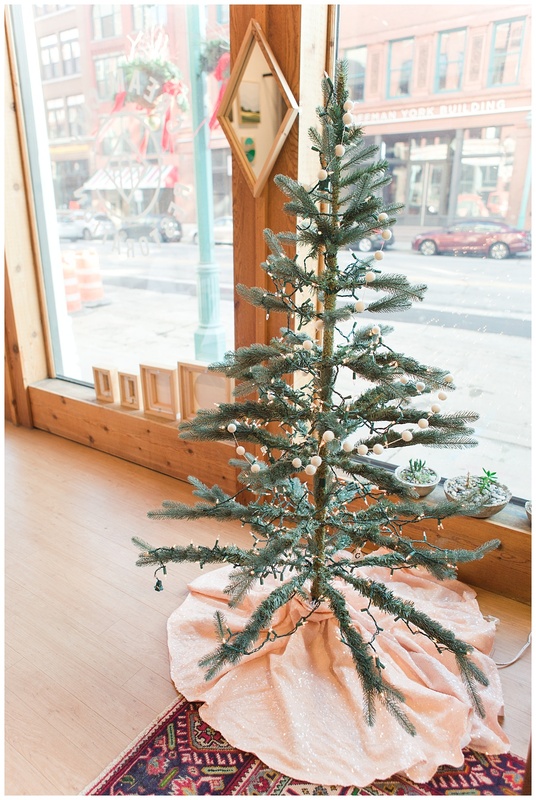 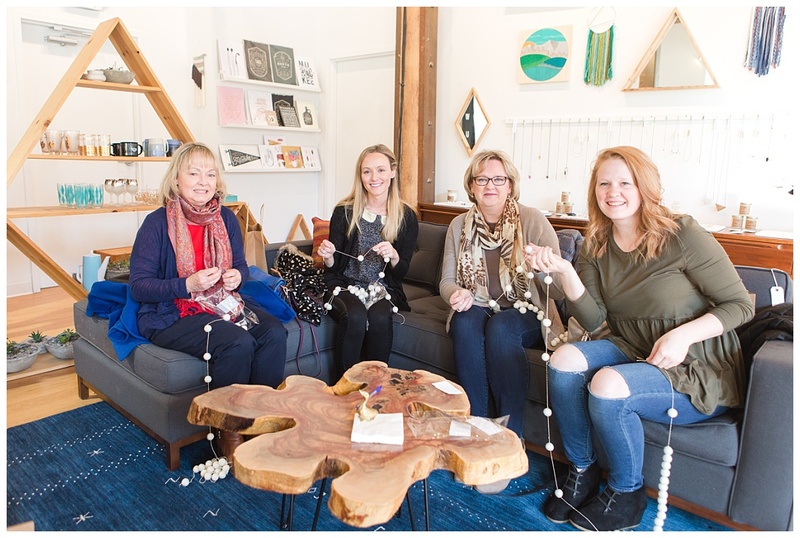 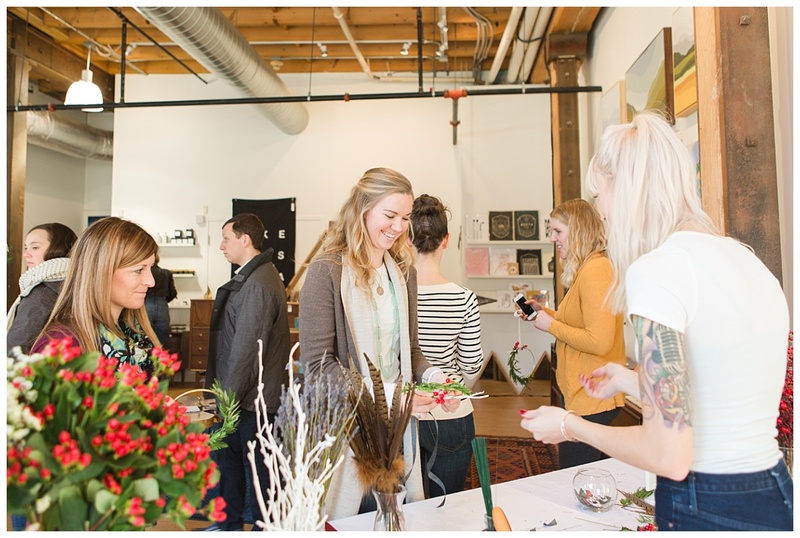 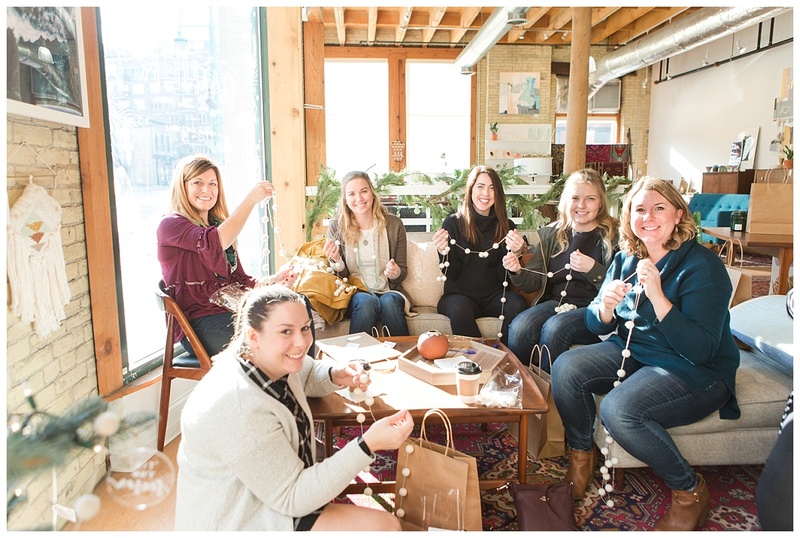 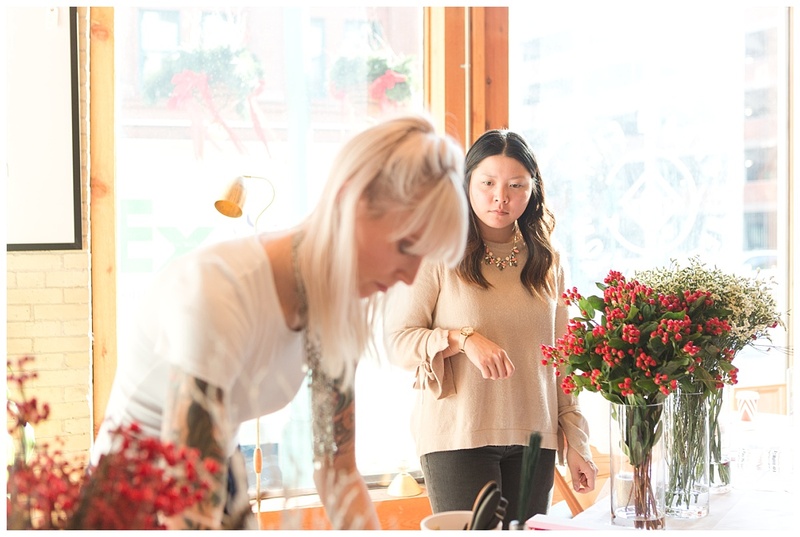 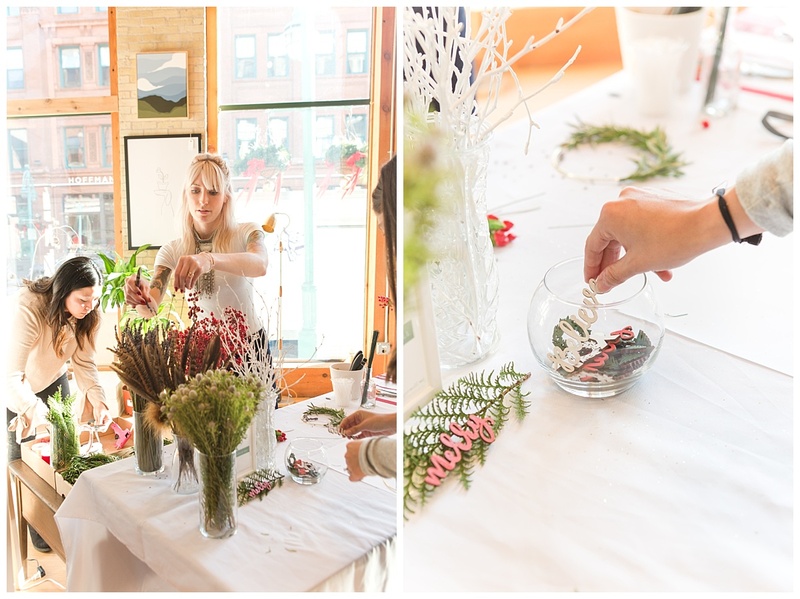 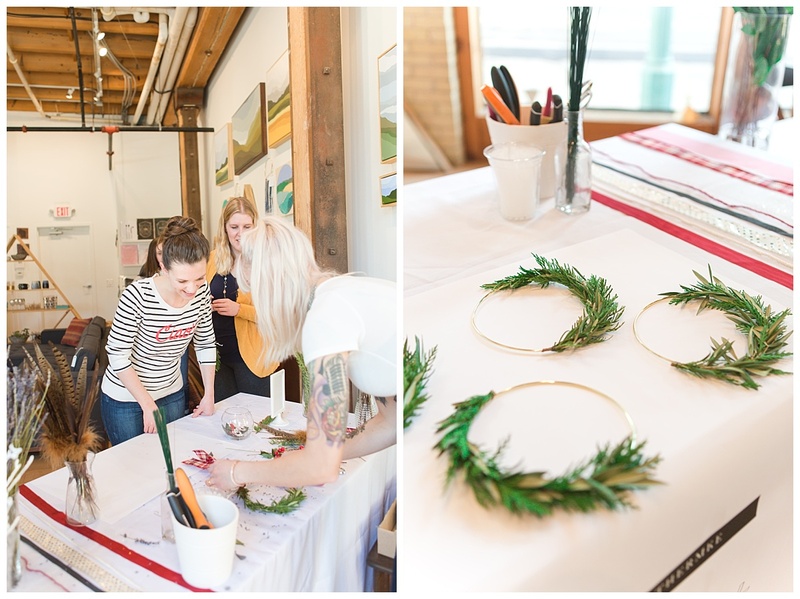 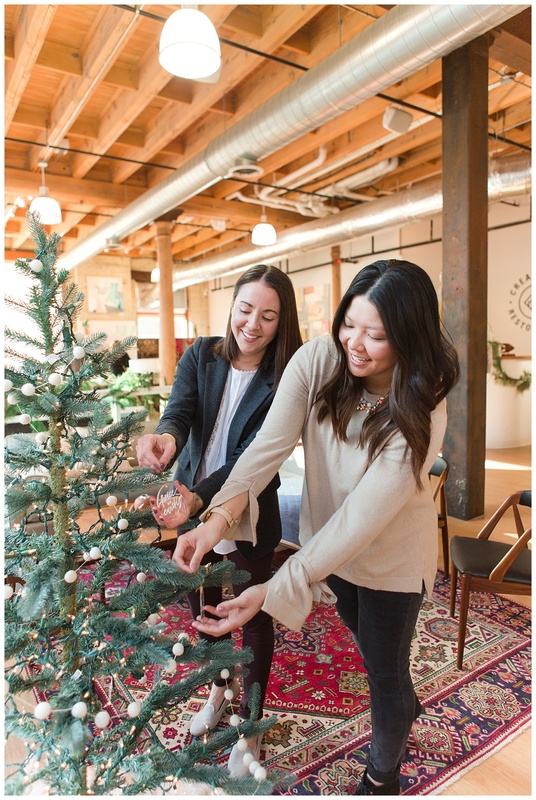 So naturally, I was thrilled for the chance to partner with the very talented Haley and Emilee of Minty & Lovely Studios for Gather: A Pop-Up Holiday Workshop in Milwaukee! 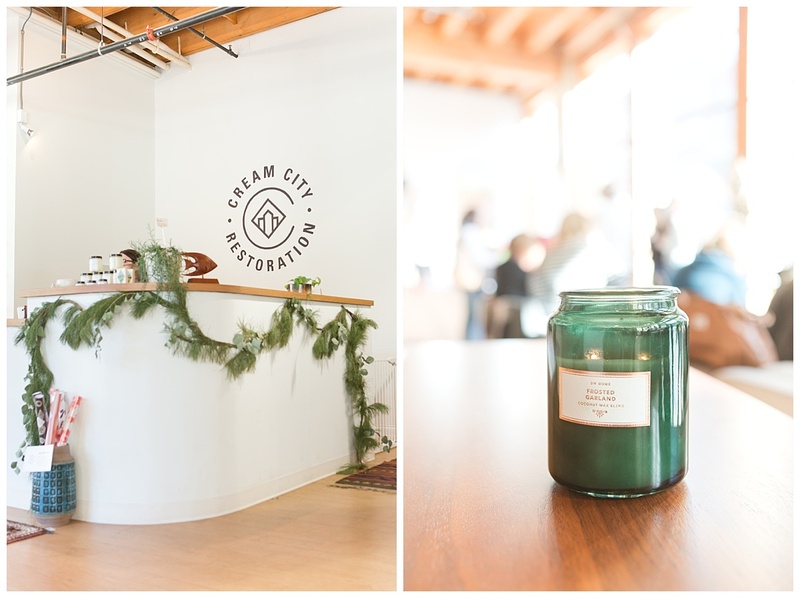 The event was hosted at Cream City Restoration (which by the way, you NEED to visit if you haven’t already – such a beautiful shop! 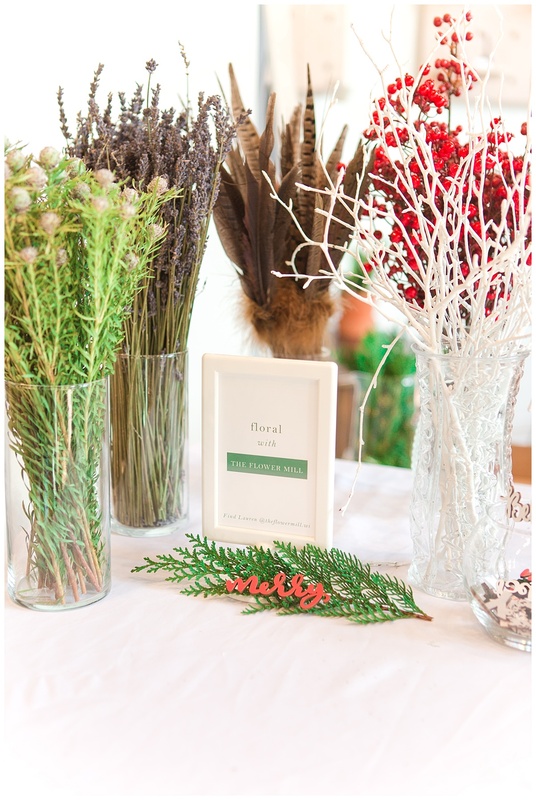 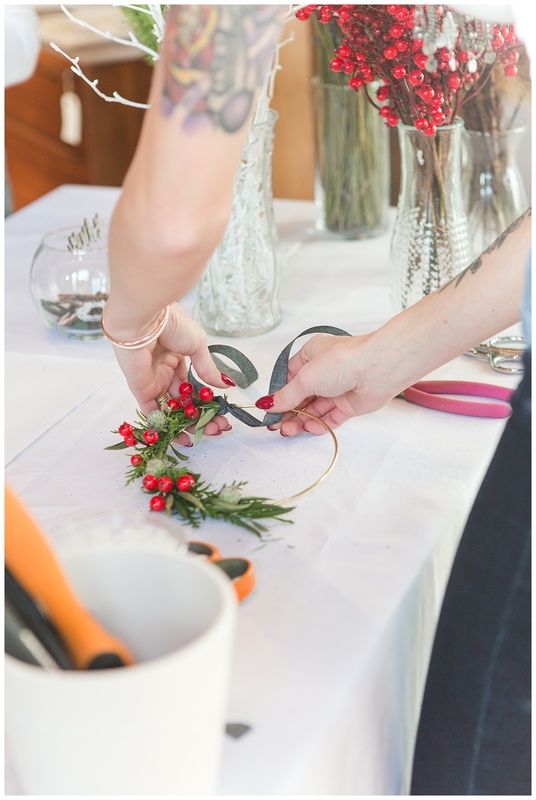 ), where guests could mix and mingle and enjoy a cozy atmosphere while making their own holiday decorations. 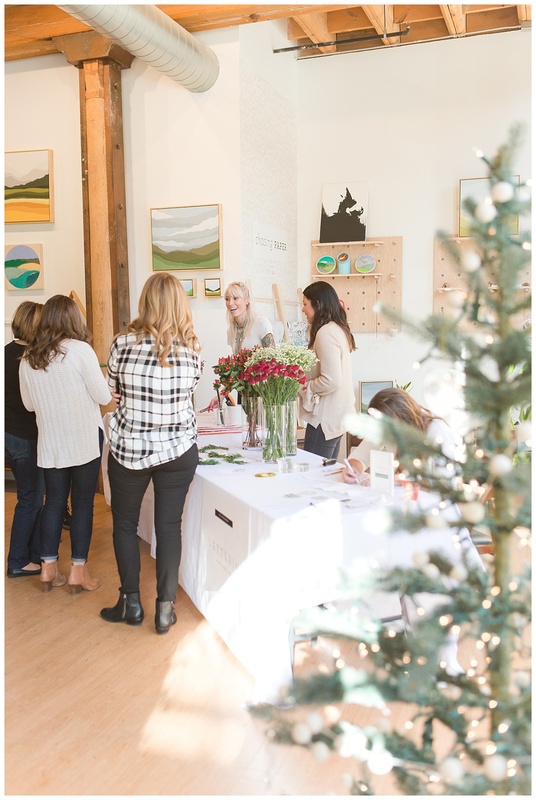 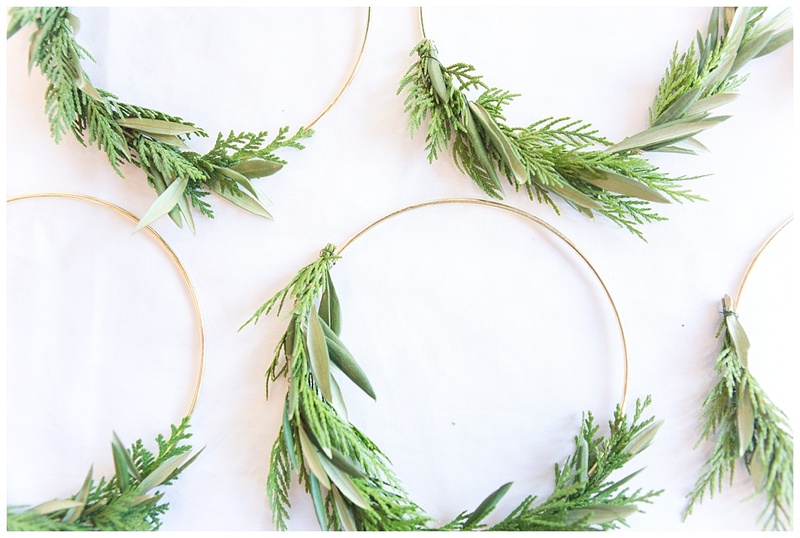 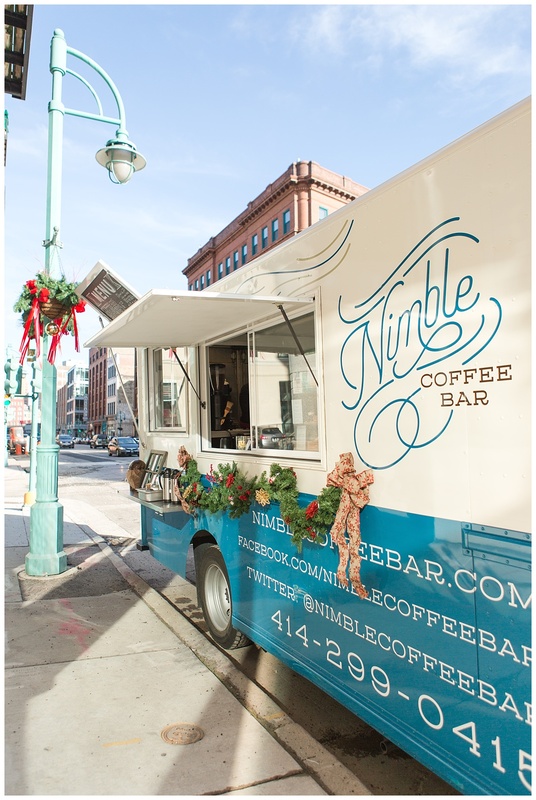 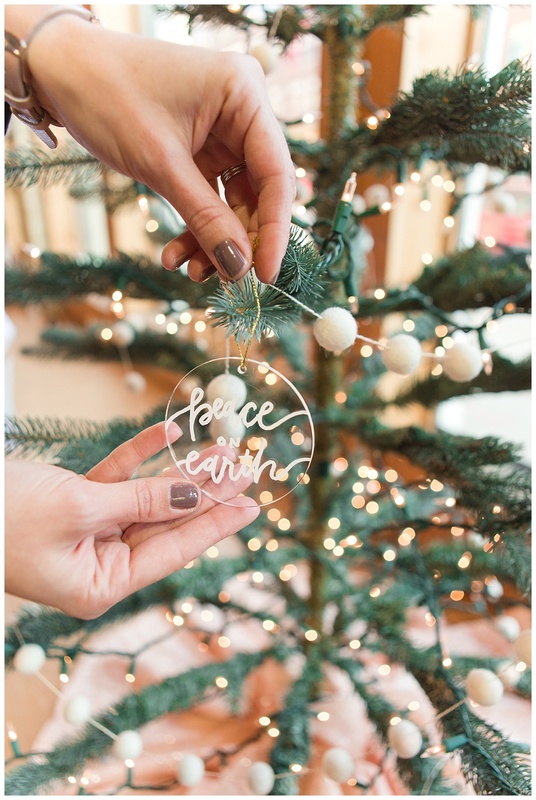 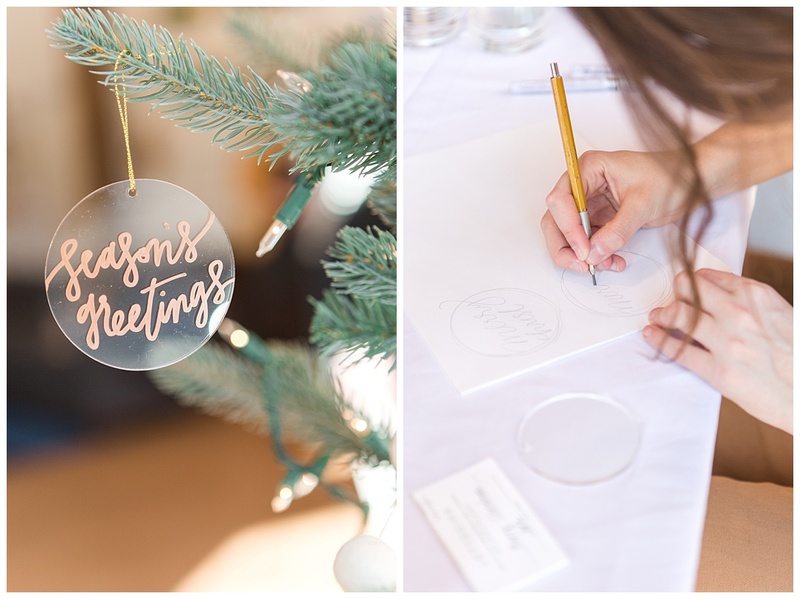 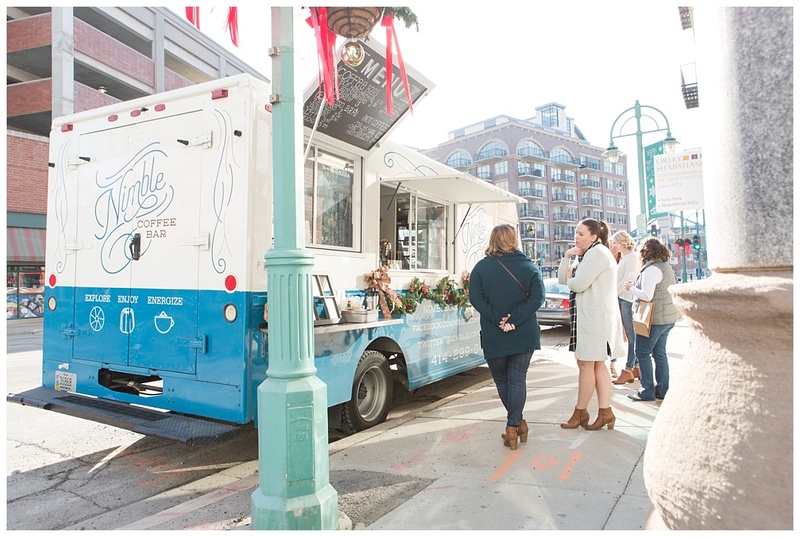 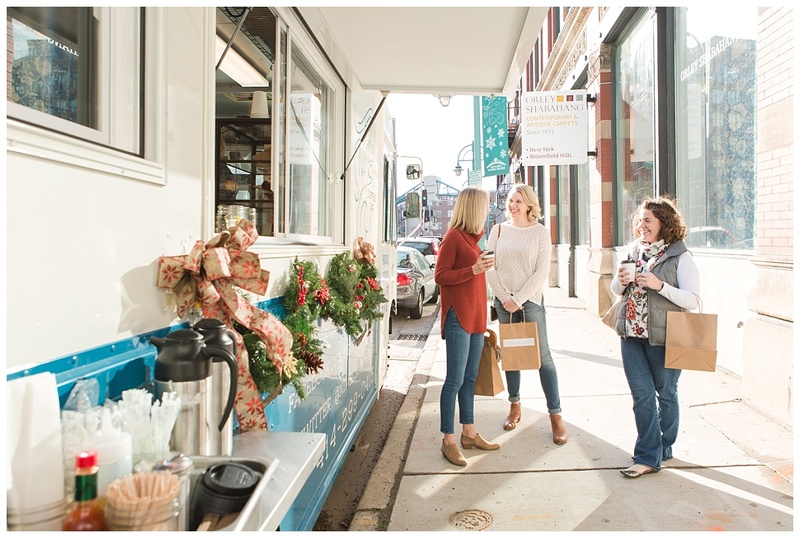 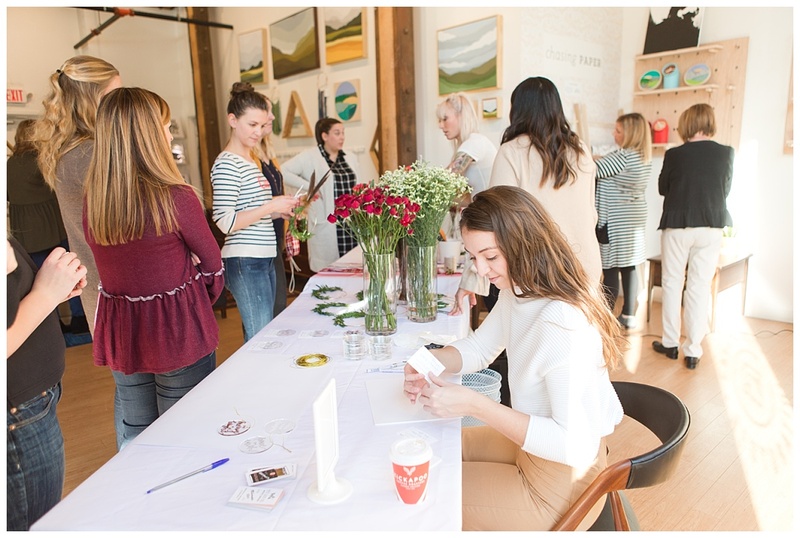 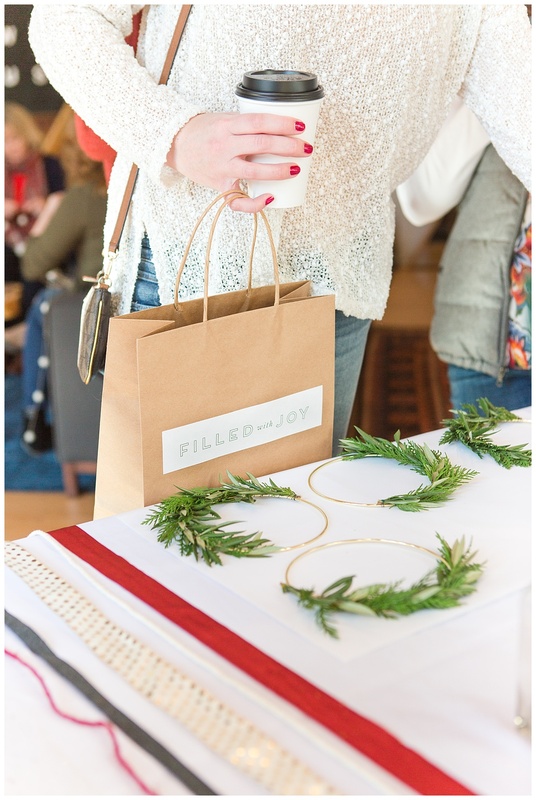 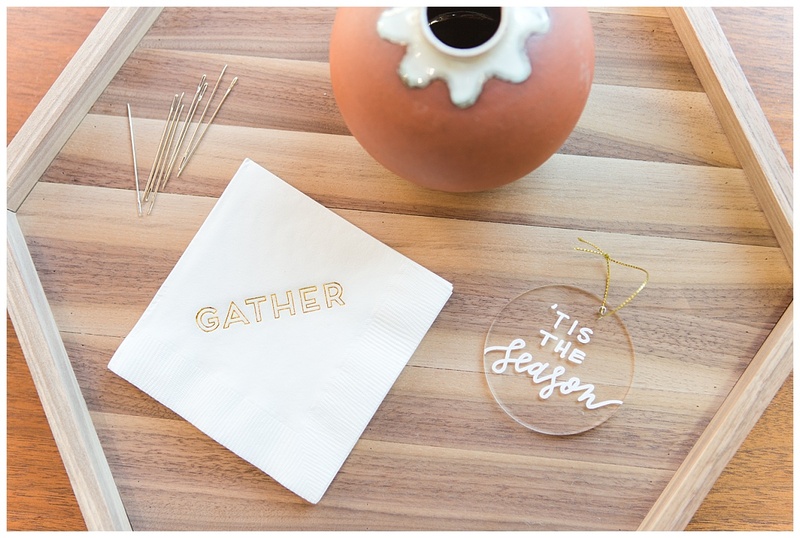 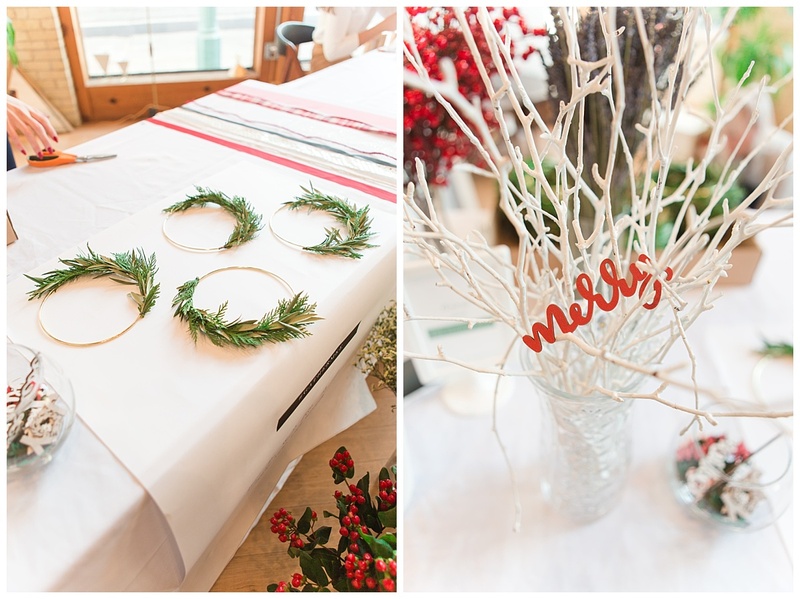 Festive crafts included custom gold hoop wreaths from The Flower Mill, custom handlettered acrylic ornaments from Wit & Co., modern holiday framed prints from Chasing Paper, and hot and cozy beverages from Nimble Coffee Bar. 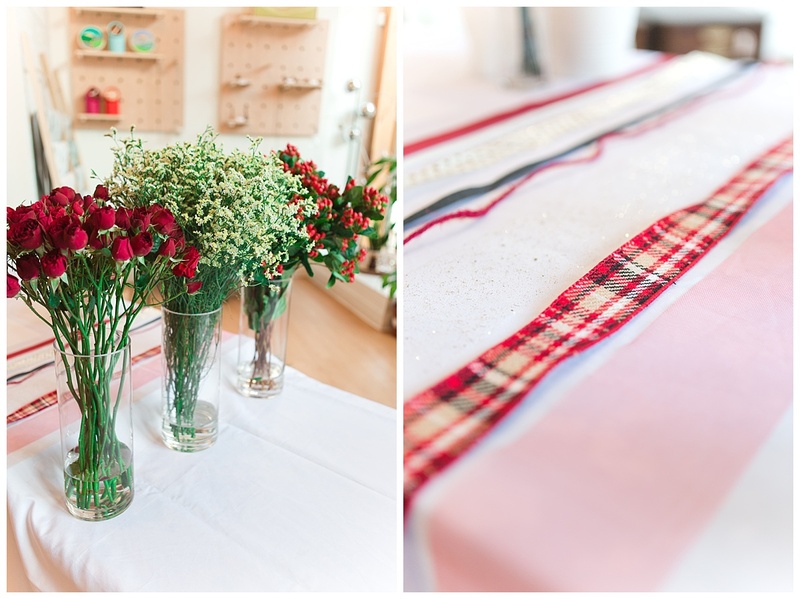 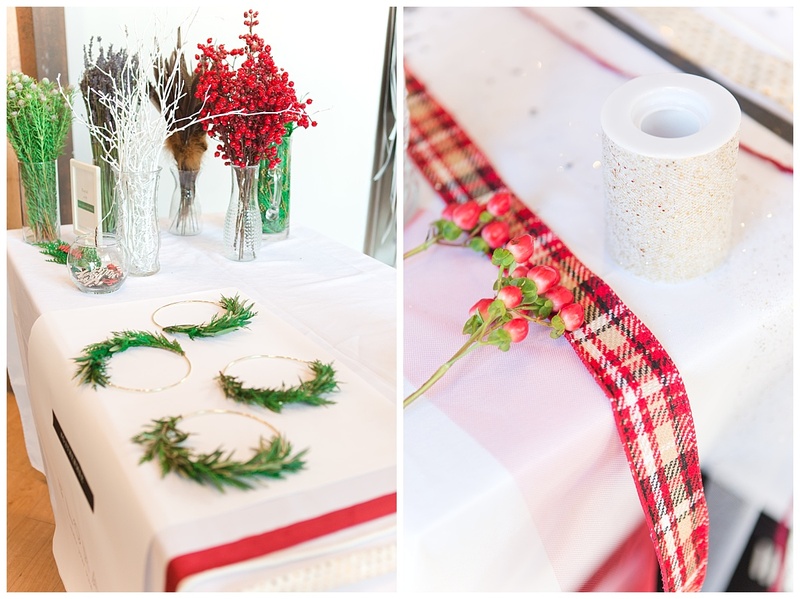 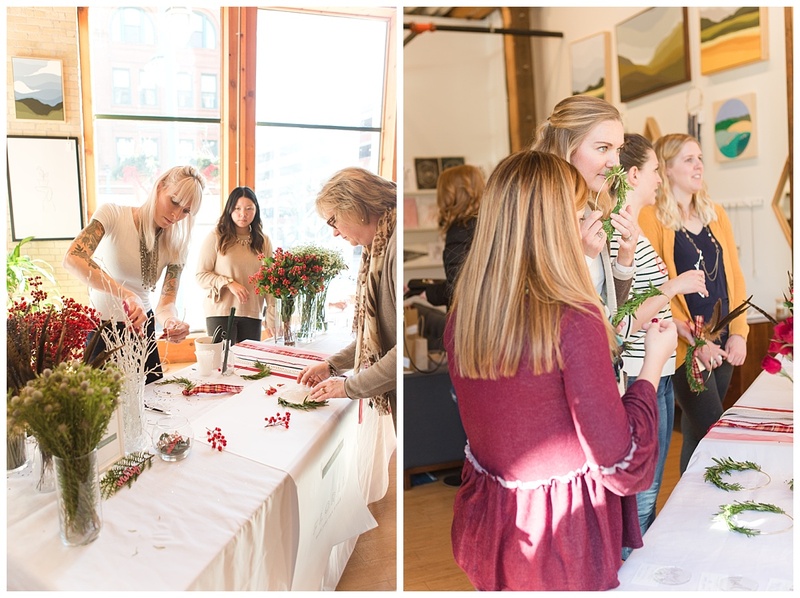 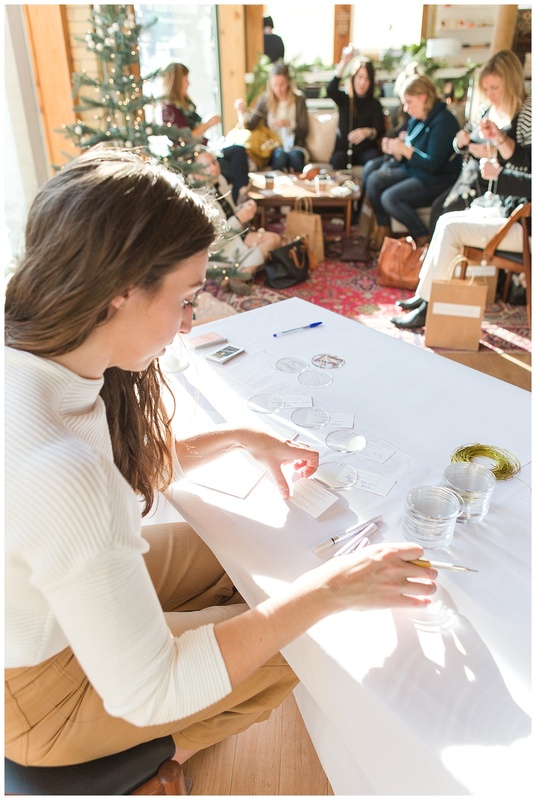 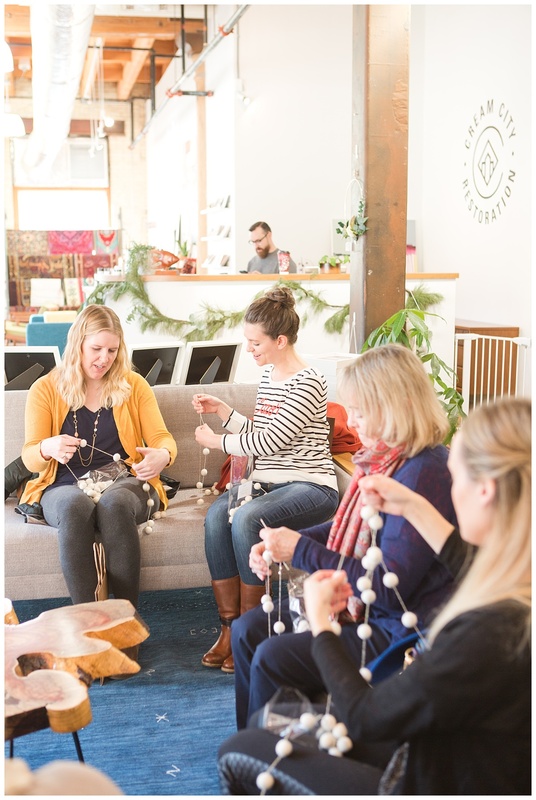 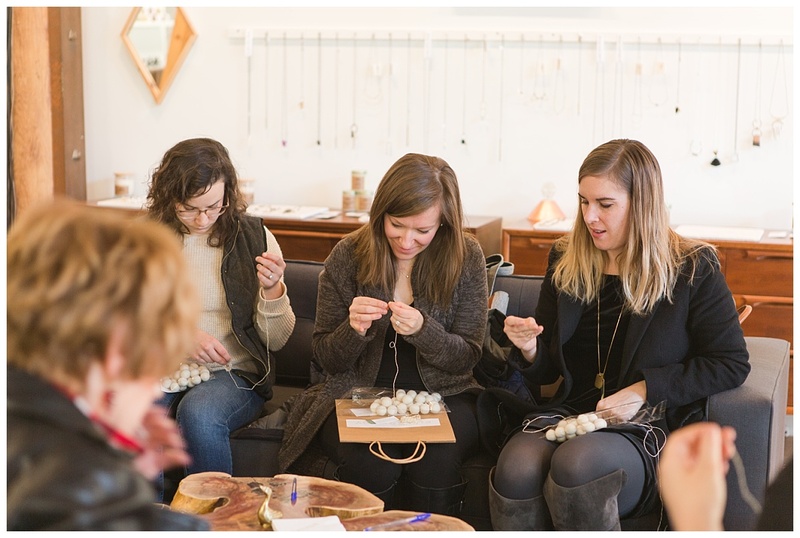 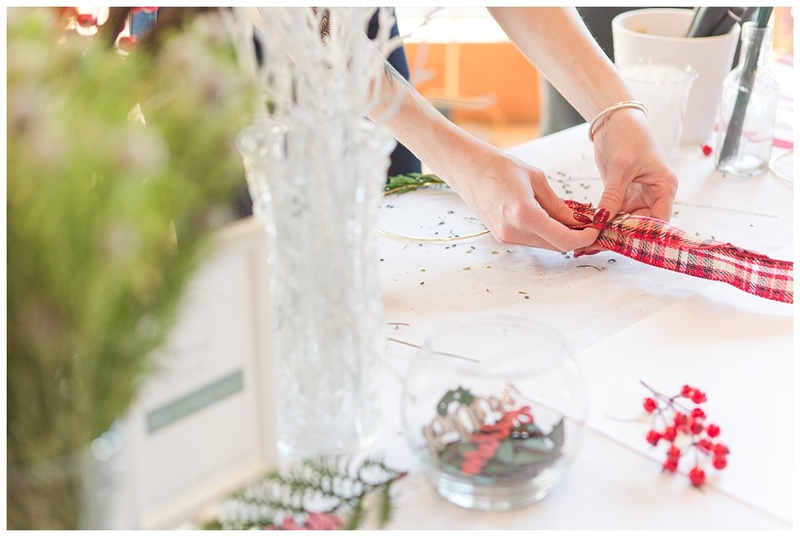 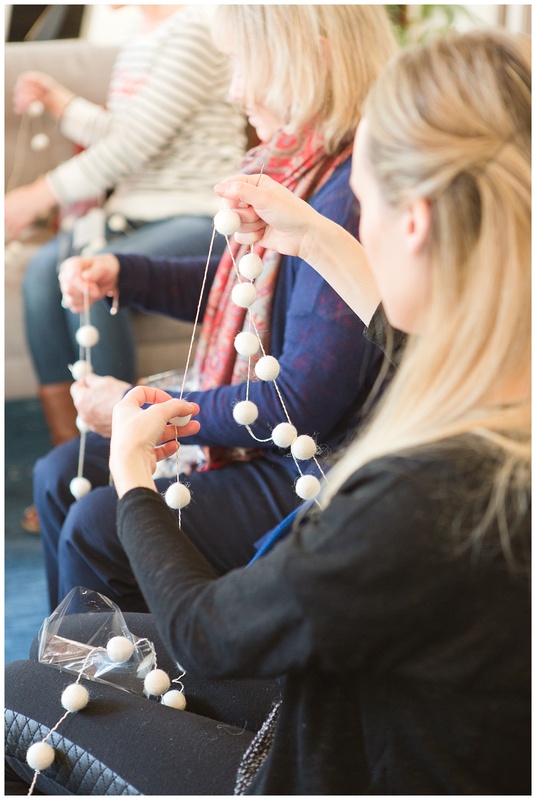 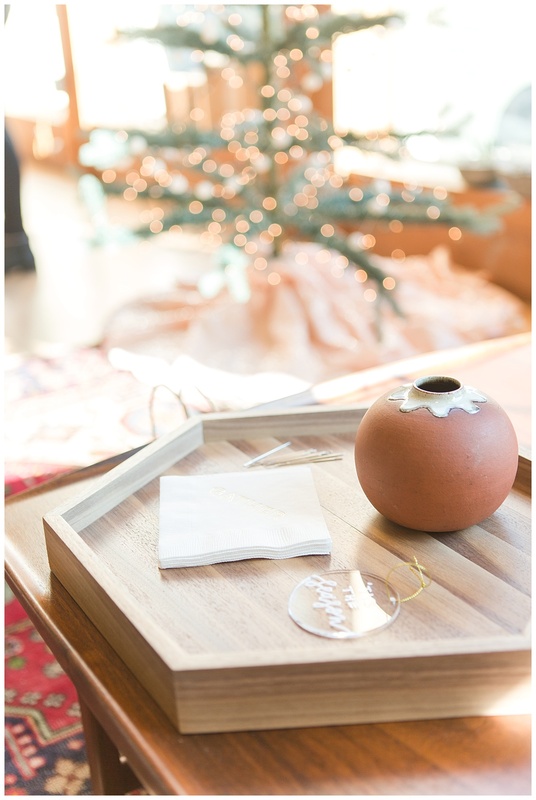 The pop-up workshop was such a fun, inviting and joyful experience, and the perfect way to kick off December! 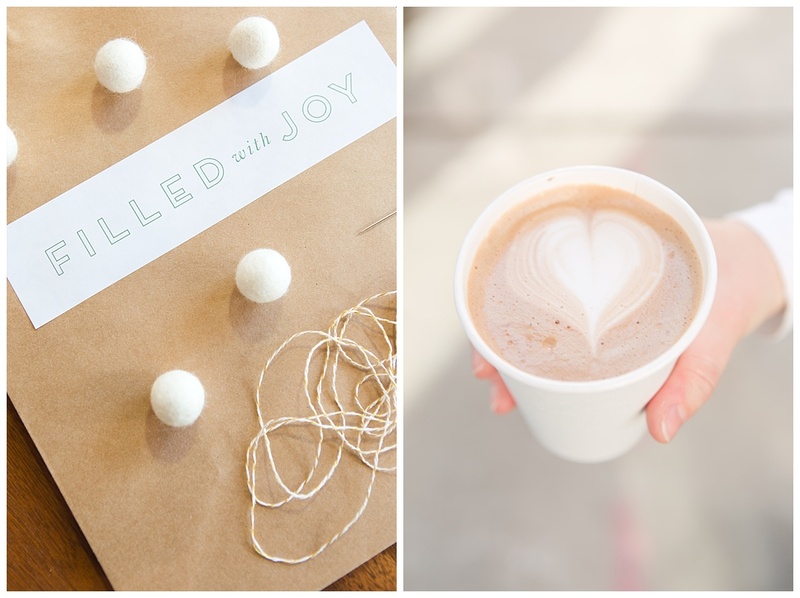 Now go enjoy some highlights of the event below (and maybe grab a hot cocoa while you’re viewing)!